Who would win in a car race? Ross or Joey? According to the Radio Times, Matt LeBlanc may reunite with some of his Friends co-stars on Top Gear. This year, LeBlanc joined the BBC car show as a co-host after long-time presenters Jeremy Clarkson, James May and Richard Hammond left. The revamped Top Gear, featuring new hosts LeBlanc and Chris Evans, premieres May 29th on BBC Two. It debuts in the U.S. on May 30th on BBC America. What do you think? Do you watch Top Gear? Would you watch a Friends reunion on the BBC series? More about: BBC TV shows: canceled or renewed?, Friends, Friends: canceled or renewed?, Top Gear, Top Gear: canceled or renewed? Top Gear: Will Matt LeBlanc Be Back as Co-Host? 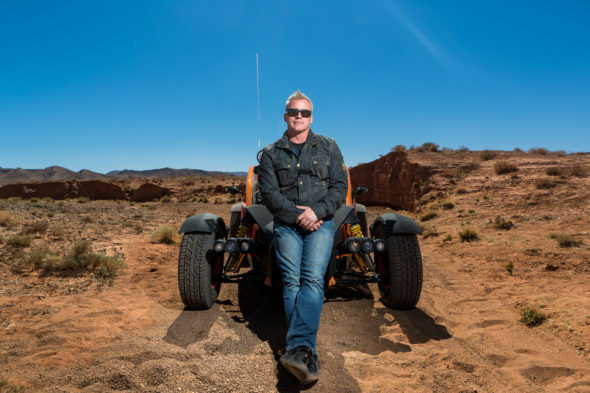 Top Gear: No Christmas Special for BBC America Series?